This is what it looks like with the ladder pulled down. 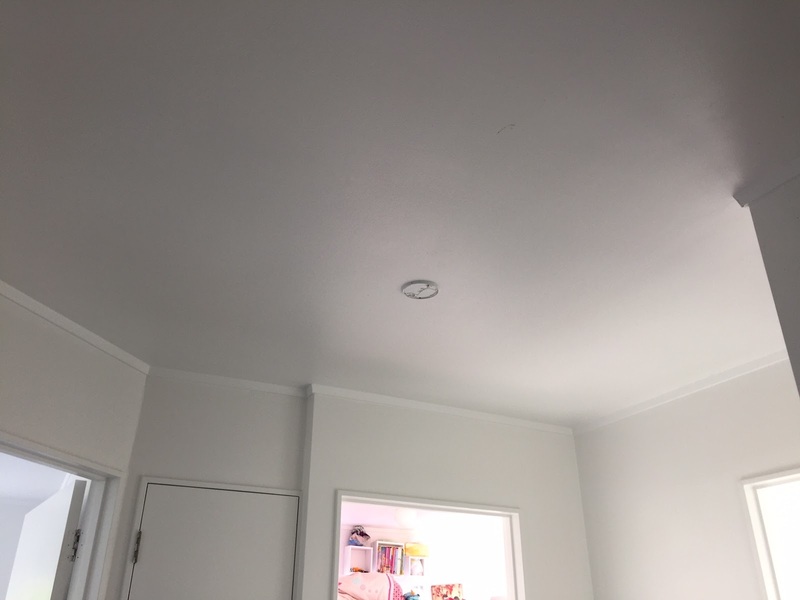 You can see it's pretty dark in the attic, so it would be great to have electric lights installed. Torches are doing the trick for now. The ladder is positioned so you climb up into the highest part of the roof, which is tall enough to stand in. Here is a photo of the ladder compartment being fitted into the new hole yesterday. And the photo of it all closed up again. I quite like the look of it. It's like a piece of artwork on the ceiling. 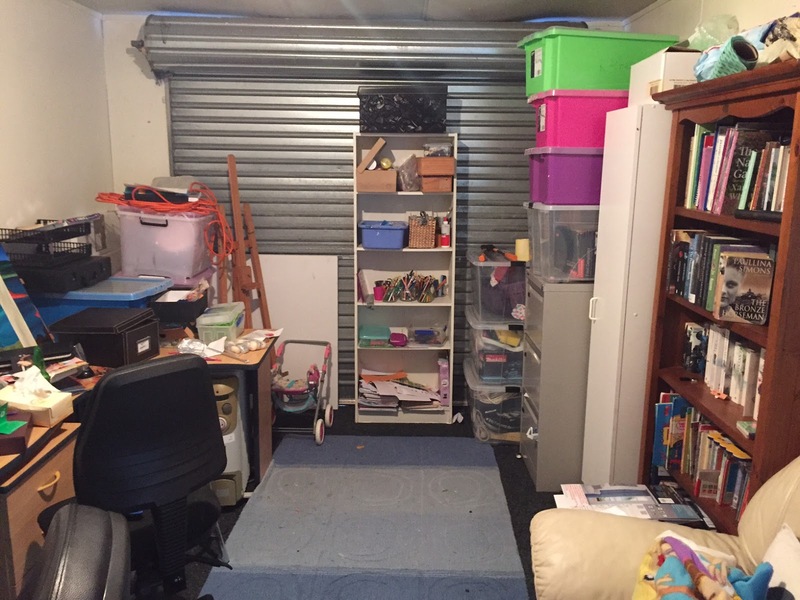 Well, you may remember our garage/office currently houses a lot of storage items, like snowboards, camping gear and Christmas decorations that we rarely use. It seems silly devoting prime real estate downstairs to these things, when we have massive storage capacity right under our roof. 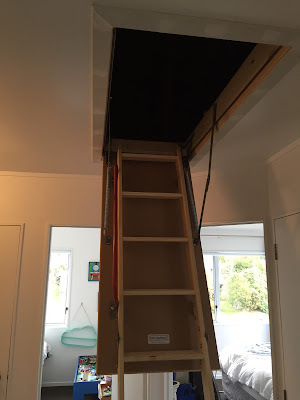 Without any major expense (it cost less than $1000 to have the attic stairs installed), we've just gained half the size of our house to use for storage. 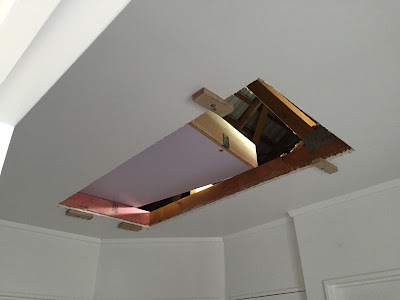 There was already a man hole to get into the attic, but it was in such an awkward place above our master wardrobe on the left. You literally had to take everything off the wardrobe shelf, all the clothes out of the wardrobe and everything off the floor, then bring in a ladder and hope it didn't slide over as you wriggled up and to the left to get into that manhole. Not super convenient. Now we have this easy pull-down system where the ladder is included, so it's quick to get into the attic. Flooring is the next thing I need to look into. I've already put down a few boards spanning joists, so we've got a platform to stand on when you first climb up. I'd like to extend that to either side of the entrance so it's safe to walk around. I'm hoping to source pallet wood for this, which I'll pull apart and sand smooth before nailing into place. In the meantime, I've already been able to take a few items up from our garage, and will do more in the coming days as time allows. Great idea to utilise that space. A couple of points to consider though. * Just remember that the space in the loft or ceiling can get quite warm especially in Summer so you need to be aware of putting things up there that are heat Sensitive. * Be careful how much weight you put up there. 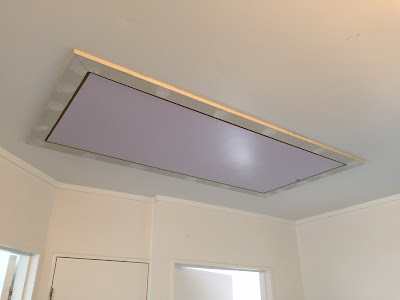 Keep items well spread out with heavier items above or close to internal house walls to avoid the chance of sagging or even heaven forbid collapsing ceilings. 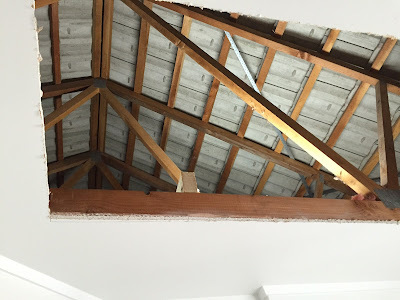 Also make sure that the timber flooring is not too heavy and crosses more than two beams or roof trusses. I would not recommend placing flooring materials on top of ceiling battens, always on main joists or truss beams.